Desert ants don’t need to emulate Hansel and Gretel’s breadcrumbs to get out of the forest; they can just count their steps! Ants who live in dense forests create scented trails home by squeezing glands covering their bodies on the floor. But the intense heat of the Sahara destroys these scents and there are few environmental markers to help the ant navigate back to the nest after foraging for food. Scientists from the University of Ulm discovered that some ants have an internal “pedometer” that helps them evaluate how far they have walked. Specifically, they use a strategy called path integration that uses vector math. Remember thinking vector addition had no real life applications? Try telling that to an ant! Unlike weight or temperature that only has a single magnitude, a vector is a mathematical object that is made up of both direction and magnitude. Usually written as an arrow with head, the length of the line gives its magnitude and the arrowhead points in a direction. You can simply add two vectors by just joining them head-to-tail. After an ant finds some delicious decaying arthropods, it simply competes its magnitude and direction from the vectors it created along the route. This enables the ant to scamper directly back to its home, without having to retrace its steps. The few neurons in the ant’s brain are able to create an internal map of the nest’s position in relation to the ant’s location. The researchers were able to deduce that ant’s count their steps by altering the length of their legs. They glued on tiny bristles to their legs, giving them stilts so their gait would increase. 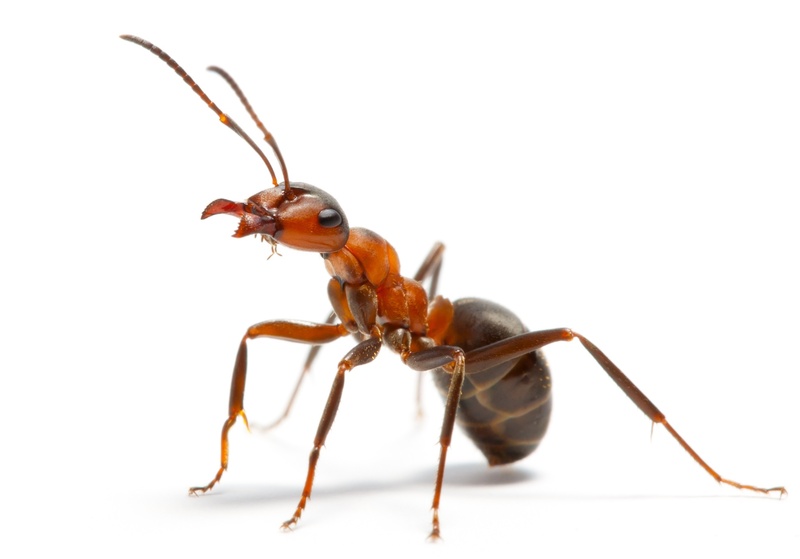 Reversely, they removed parts of the legs on other ants so their steps would be smaller. They hypothesized that if ants count their steps, the ones with longer legs would overestimate the distance back to the nest while ones with shorter legs would underestimate. These super smart scientists were exactly right—if the ants were manipulated on their return journey, they were not able to find the nest. Furthermore, if the ants were given stilts before they began their journey, they had no problem returning because the length of their legs were the same for both the outbound the return sections of their walk. Next time you’re stumped doing your Trigonometry homework, enlist an ant for help!